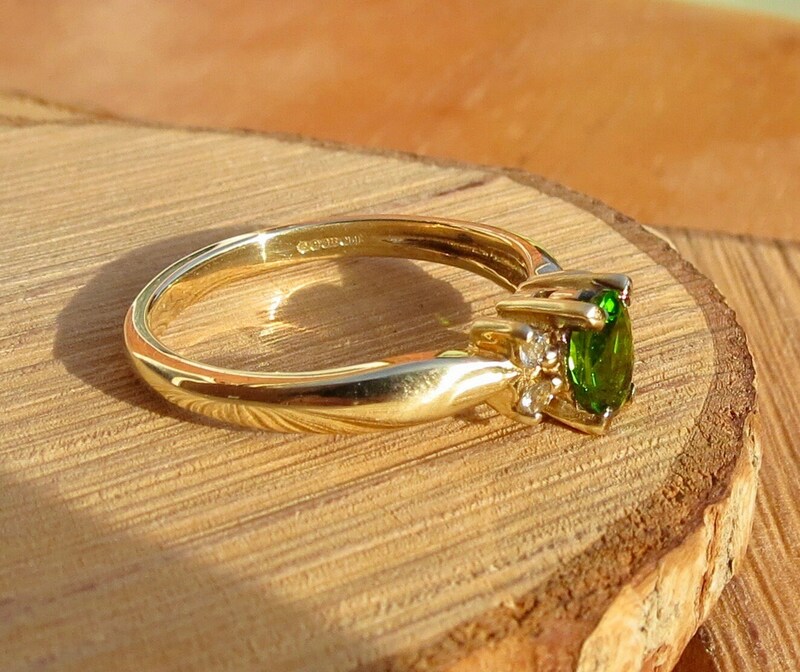 This 9k yellow gold ring has an oval cut chrome diopside with double diamond accents. 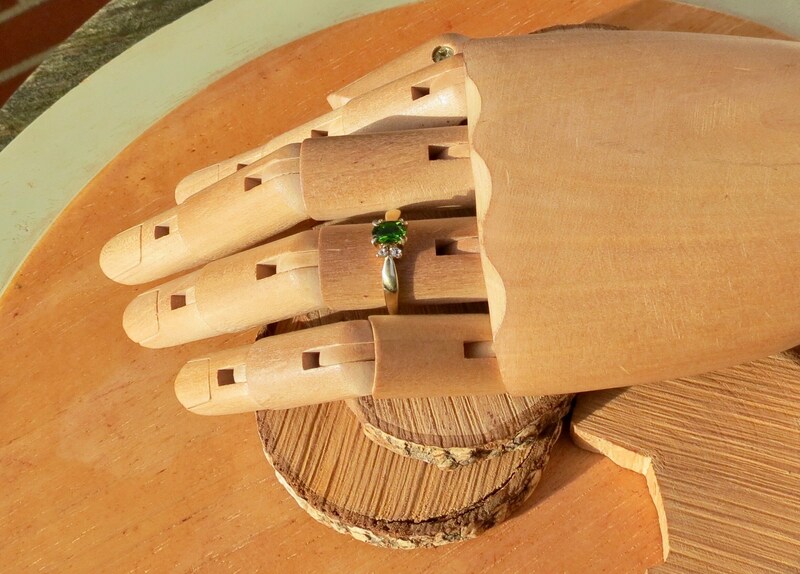 The claw setting has a plain has slightly tapered shoulders and a plain shank. 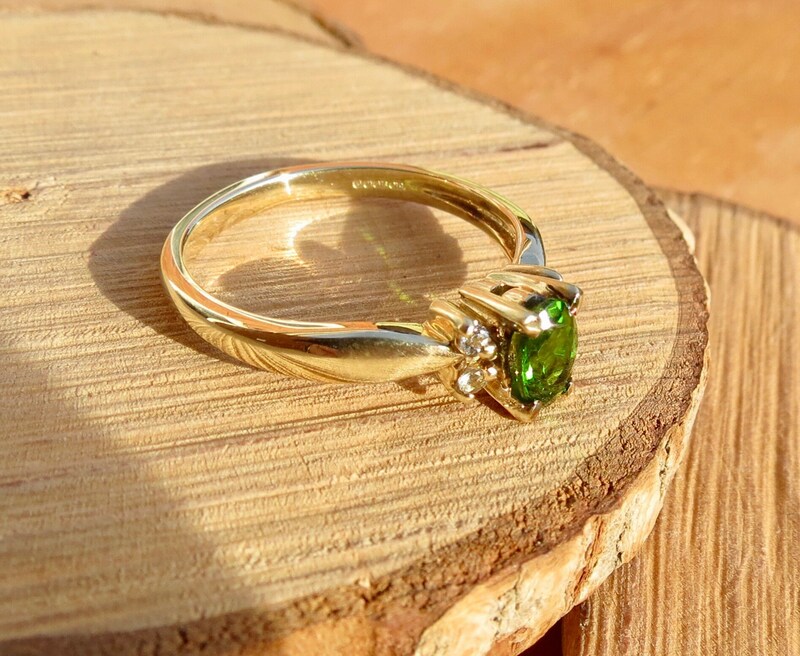 Full British hallmarks, 9k yellow gold, Birmingham England. 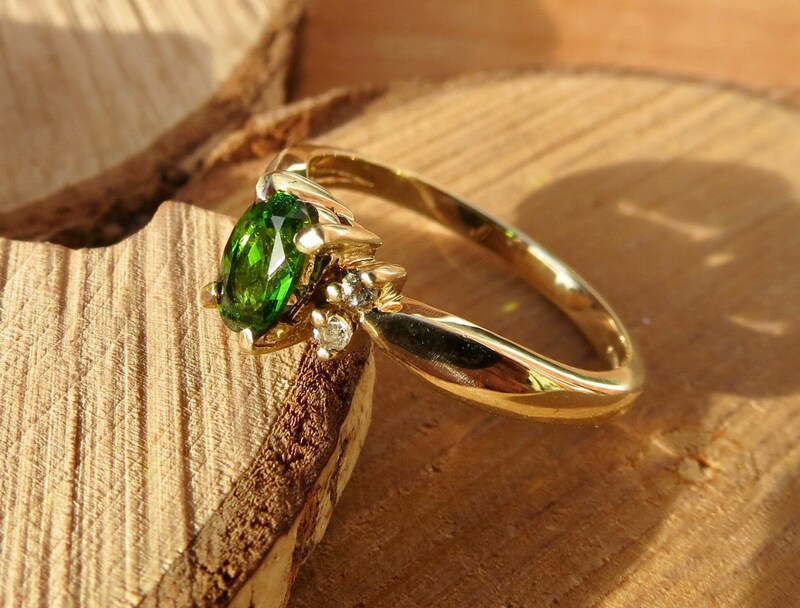 Chrome diopside is a chromium-rich, transparent to translucent variety of gemstone-quality calcium magnesium silicate. 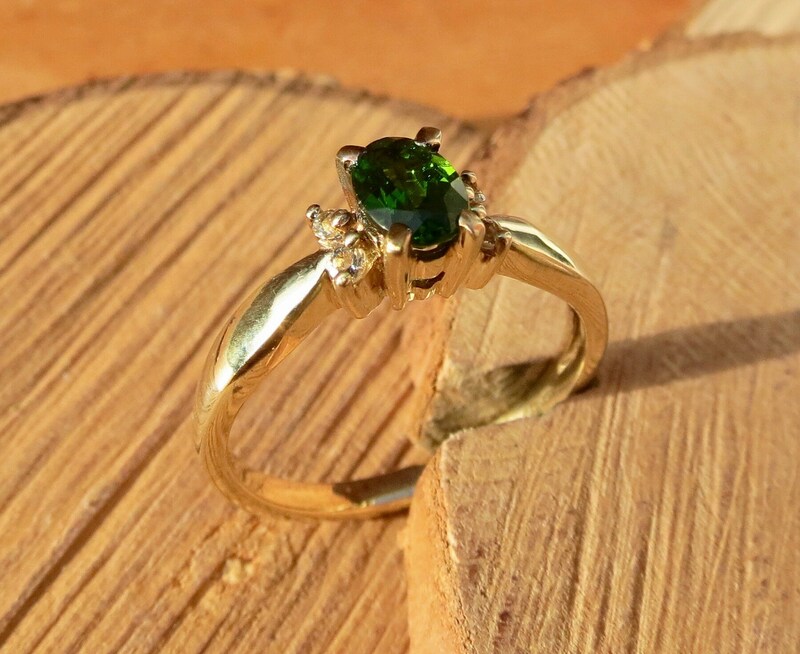 It is one of the rarer varieties of diopside and belongs to the pyroxene family of minerals. 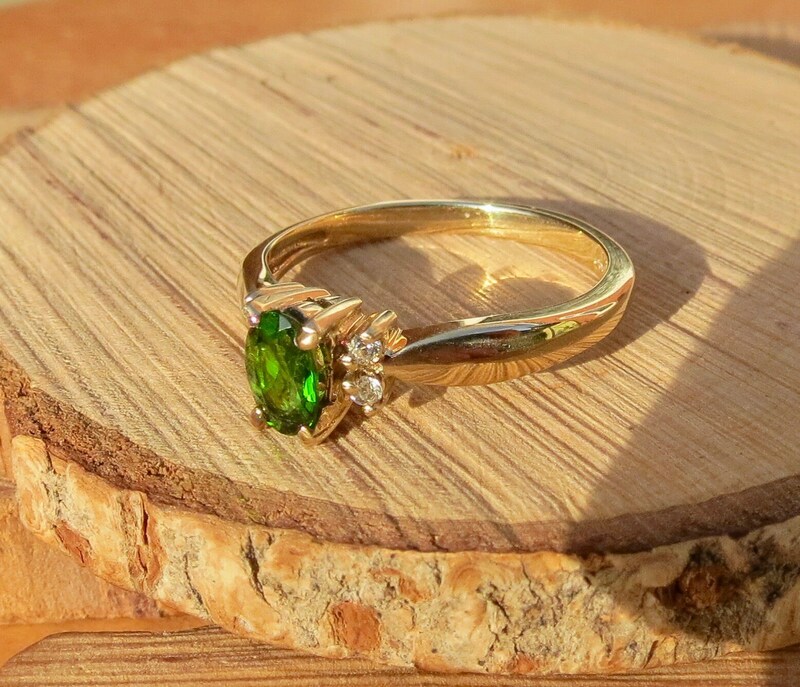 Chrome diopside is an officially recognised variety of diopside and one of the newest gems on the market today. 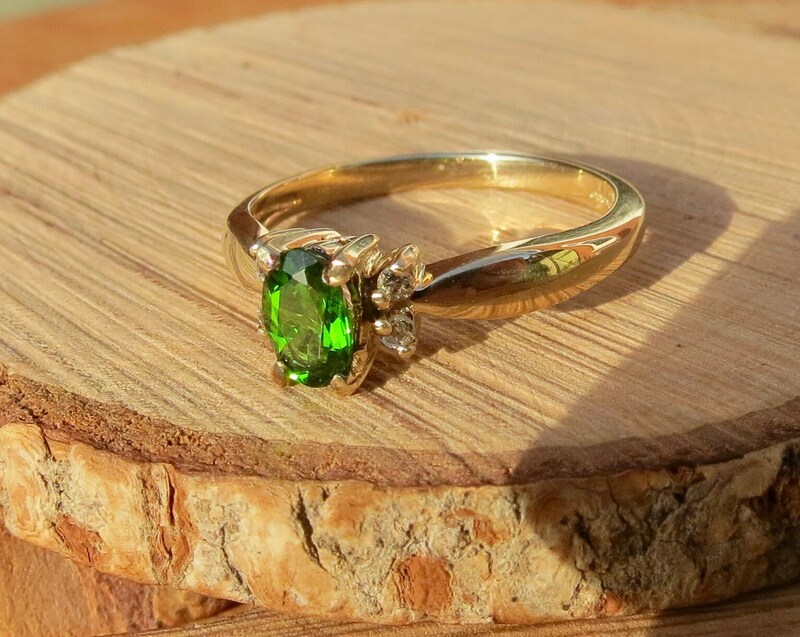 Even though it's considered relatively new, it very quickly made its way into the mainstream gem trade and became one of the most popular green gemstones of today. 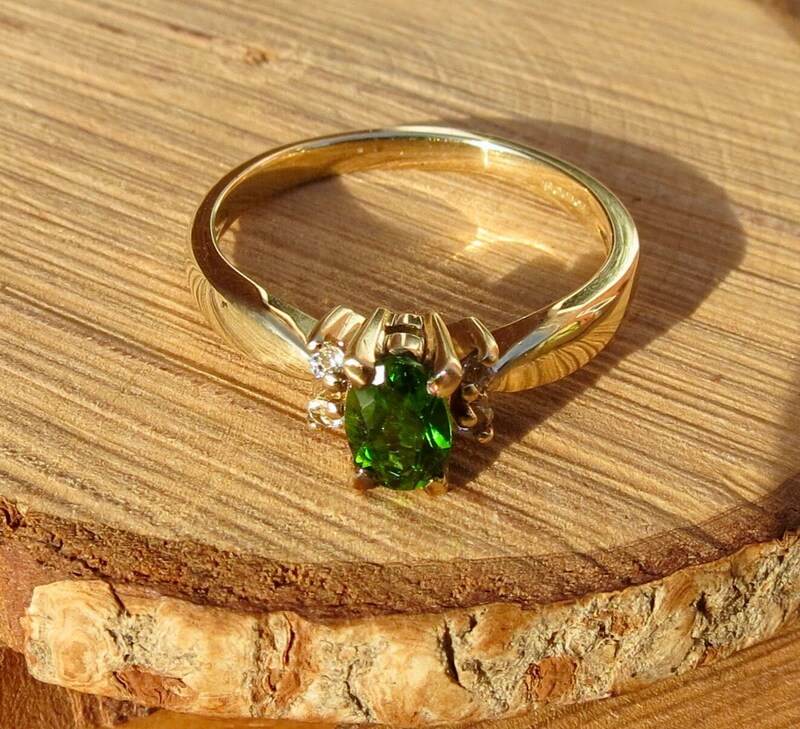 Despite the widespread belief that green gemstones are common, naturally occurring green gemstones are actually quite rare. 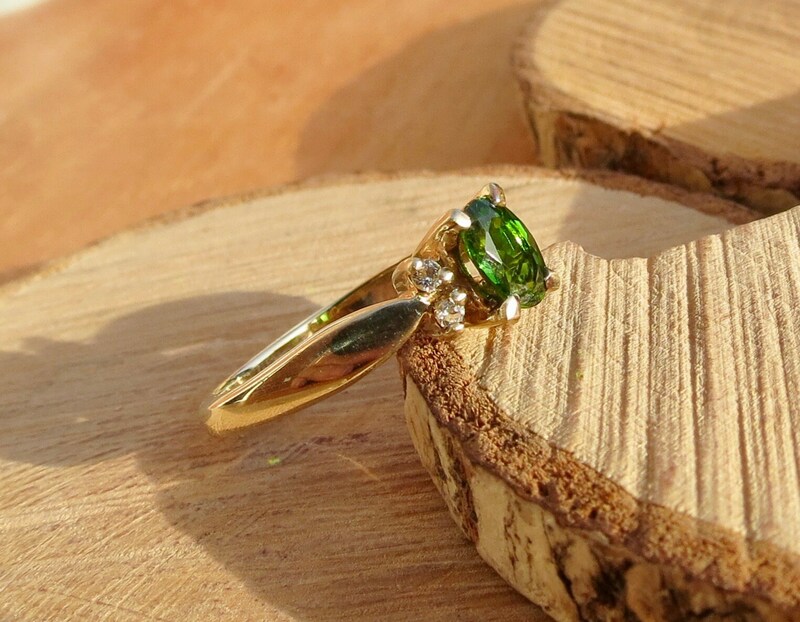 For most of time since its discovery in 1988, chrome diopside was sourced from only one location, Russia's Eastern Siberia.